Shokudaikiri Mitsutada and Shinogito Shiro is a Dual Swords in Nioh. 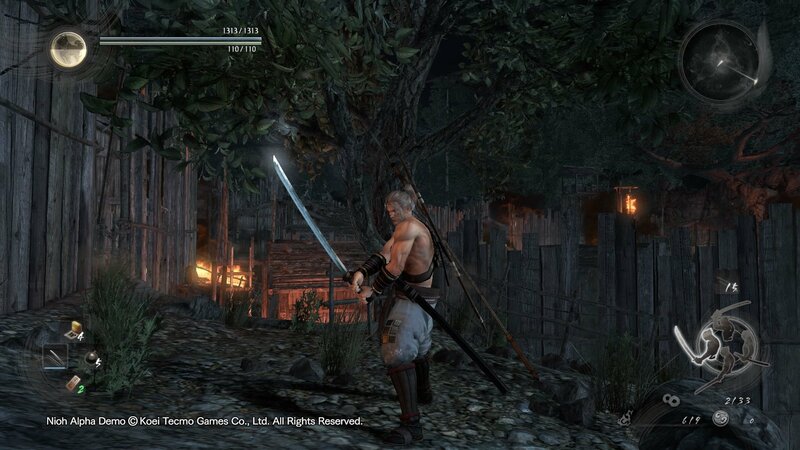 "A pair of long and short blades favoured by Date Masamune. The larger of the two blades, Shokudaikiri Mitsutada, was forged by the famed swordsmith Mitsutada of the Osafune style in Bizen province (present-day southeastern Okayama prefecture). The story of Masamune slicing through a candlestick, or "shokudai," as he slayed a clan retainer is the source of the blade's name. The smaller blade, Shinogito Shiro, was forged by the famed swordsmith Yoshimitsu of the Awataguchi style in Yamashiro province (present-day Kyoto prefecture), and has a ridged, or "shinogi-zukuri," style on it. The sword passed from the Hosokawa clan to Oda Nobunaga, who then passed it on to his third son, Nobutaka. The sword was then gifted to Hojo Ujinao, but following the demise of the Hojo clan, it was repurchased by Kuroda Kanbei and presented to Toyotomi Hidetsugu. Afterwards, it eventually fell into the hands of Masamune as a keepsake of Toyotomi Hideyoshi."